After chugging across France in a steady, respectable 35 days, we crossed the Pyrenees and arrived in Spain with an unusual conundrum: we were early. We were meeting a friend in Logroño in ten days. If we followed the normal pattern of walking 20-30 kilometers a day, we’d be there in six. So we did something radical: we slowed down. We took a full day of rest in Pamplona. 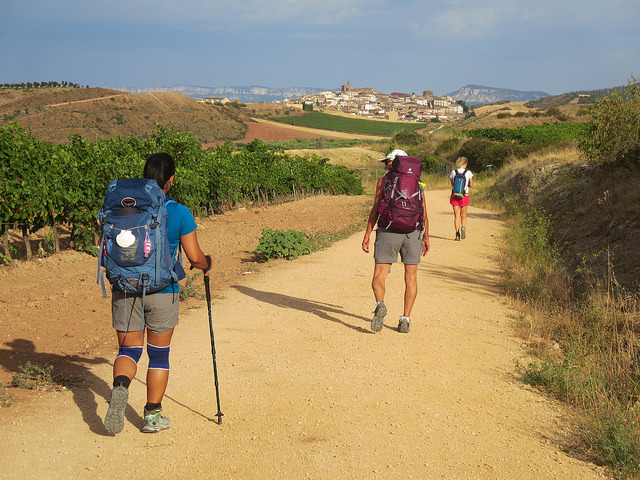 And then, instead of walking the typical “full” day from Pamplona to Puente La Reina, we decided to cut it in half, stopping for the night after just thirteen kilometers in the tiny town of Urtega. All of this backstory is just an introduction to how Eric and I ended up all alone on a chilly spring morning, at the legendary Church of Santa María of Eunate. The trail the next morning was blissfully peaceful and empty. We left while the Russian teenagers were still snoring on their bunks and the woman from California was still packing, secure in the knowledge that there were would be no one else on the road. The closest albergue was more than eleven kilometers away, on the other side of Alto de Perdon. We were just ten kilometers from Puente La Reina, our stop for the night, but there was a side trip I was eager to take. The Church of Santa María of Eunate, officially the ending point of the Camino Aragones, was just a four-kilometer detour off the Camino Frances. 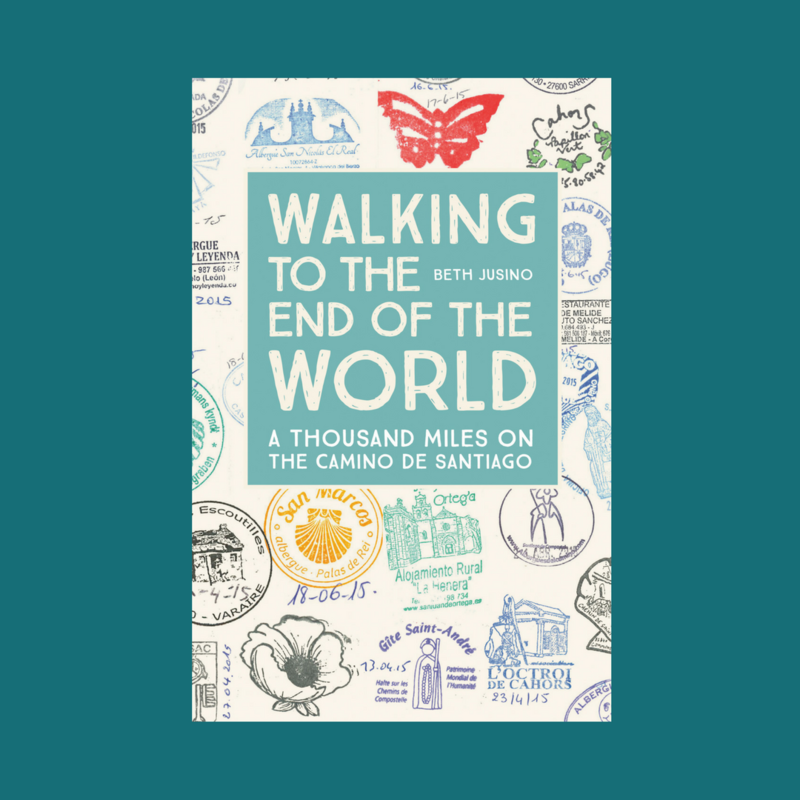 Archaeologists have found scallop shells adorning bodies buried beneath the structure, so we know it has a place in the story of the Santiago pilgrimage. And until recently, I’d heard that the volunteers who ran the chapel had opened it as an shelter for pilgrims, inviting them to sleep on mats under the domed roof, blessing them with a candlelit dinner, music, and prayer. But when the number of pilgrims increased, the logistics of hosting so few became difficult. People who were turned away were upset. Now the chapel is open to visitors only during the day…every day except Monday. And of course, we were passing through on a Monday. No matter. I knew if the chapel was closed, it would also be quiet. I was right. The path to Eunate crosses wide, flat fields that were still brown in mid-spring. The sun was bright, casting sharp shadows in the early morning light, silhouetting a building that was much smaller than I expected, and also more beautiful. We put down our packs and lingered, circling slowly, soaking in the quietness and the details of the architecture. I wished I could go inside to see the famously simple architecture, but instead I contented myself with walking around the outside, lingering over the weather-worn faces carved on the sides. I hummed childhood hymns I hadn’t thought about in years. We stayed until the tour bus pulled up, and then it was time to go. I love the memories this post brought back… I, too, was there on a Monday. But it was only me, not another person around, and that added to the peace and magic of the place. Thank you for this post!